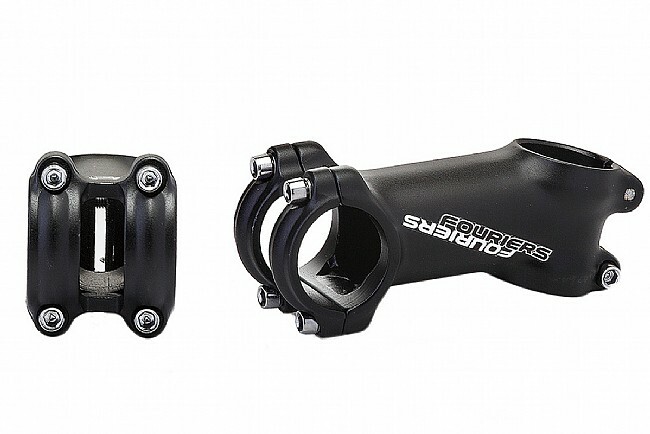 The SM-RA010 Stem from Fouriers is an affordable riser stem for both road and mountain bikes. It's 3D forged from AL-6066-T6 aluminium with a ±17° rise for a comfortable riding position. 31.8 mm clamp diameter. Fits 1 1/8” steerers. 40 mm stack height. Claimed weight is 152 g (100 mm length).